Mr. Choung Choungny is a well-known lawyer who has assisted many poor Cambodian plaintiffs and defendants including many opposition party members. 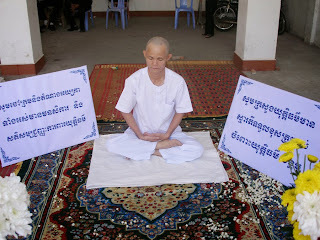 Now he has shaved his head and ordained to practice meditation for self-purity, protection the justice system and protection the Dhamma or righteousness. Dhamma means substantial element for guarding and supporting our world. 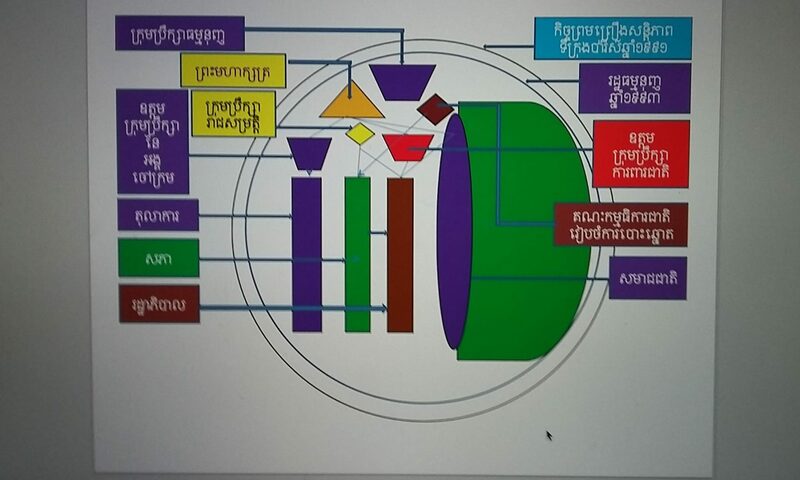 Lord Buddha taught that “Dhammo Have Rakkati Dhammacari means Dhamma or righteousness will protect and guard those who have practiced the Dhamma”. Mr. Choung Chougny was badly affected by the latest development of Cambodian judicial system. 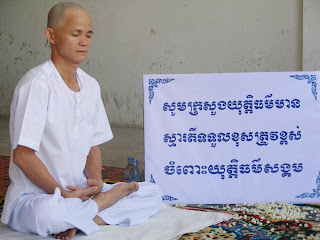 He decided to shave his head and ordain as hermit to practice meditation to raise up his mind and spirit, and it is a good example for all Buddhists to follow his pathway. Kammathana means place of body, mind and environs which are helpful for searching higher level of spirituality, truth and goodness. Samadhi-bhavana means to recite and chant any mantra from the virtue of Lord Buddha, Dhamma mantra and virtue of Sangha to develop peacefulness, wisdom, and compassion. Mahatma Ghandhi practiced meditation of Satya (truth) and Avihangsa (non-violence) to develop his mind, spirit, peace and wisdom until England accepted to return full independence back to India. At the present, Mr. Anna Hazare, who has deeply been affected by the rampant corruption in India, he has practiced meditation to raise up his mind, spirit, peace and wisdom until the government of India began to table this issue at the government administration. We would like to share sympathy and reconciliation with Lawyer Choung Chougny for his ordination to search for truth and righteousness. We wish all Cambodian Buddhists take their time to join with Mr. Choung Chougny.